On the main scenarios tab click the rubbish bin icon next to your scenario, then confirm deletion. 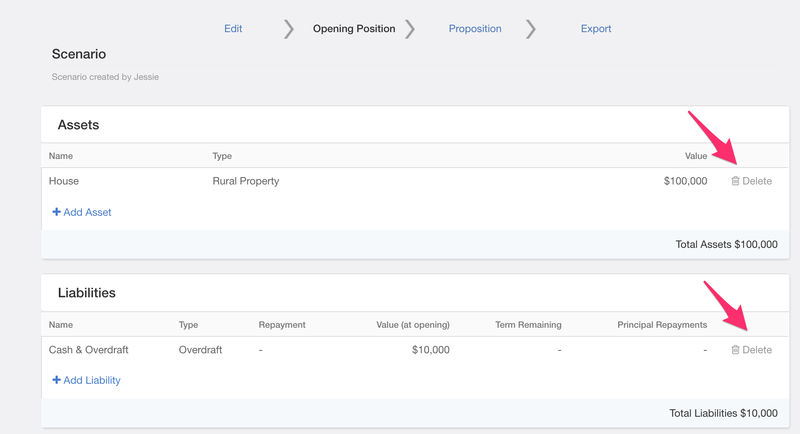 Navigate to your opening position inside of a scenario and locate the item you wish to delete - select Delete, then confirm deletion. 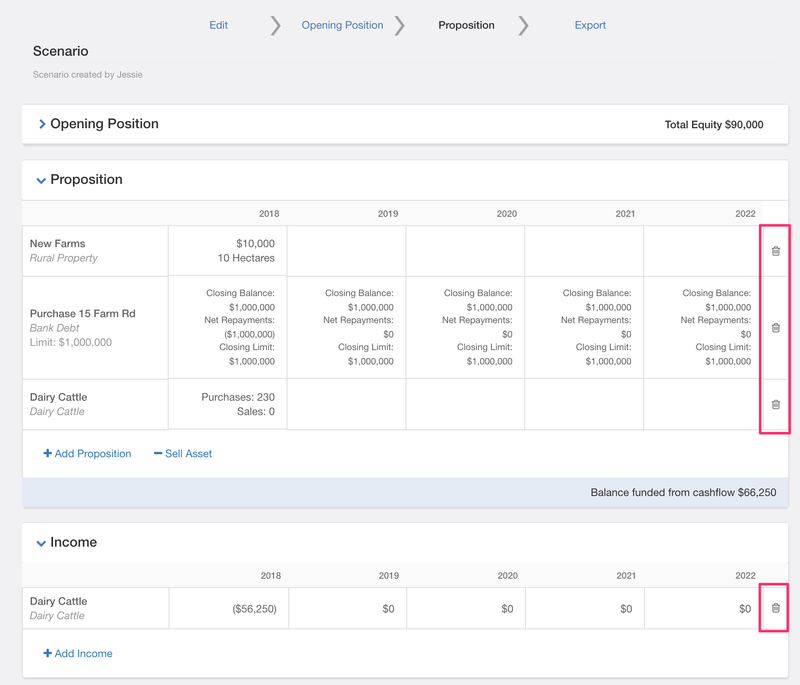 Navigate to your proposition inside of a scenario, each asset, liability, and income line will have a rubbish bin icon next to it. Press this icon, then confirm deletion.